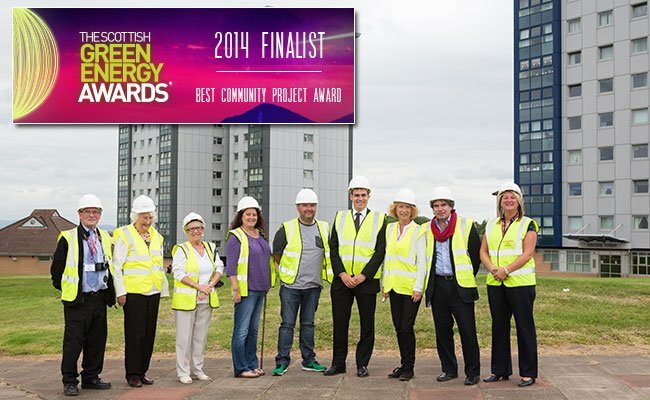 We would like to congratulate everyone involved in the fantastic West Whitlawburn Project on the news that it has been shortlisted in the Community Energy Category of the 2014 Scottish Green Energy Awards. The project, which has been designed and installed by Vital Energi, has seen the installation of a biomass boiler and district heating network and the construction of an energy centre, which will contribute to significantly lower energy bills for residents as well as reducing carbon emissions by 48,000 tonnes over its 30 year lifecycle. In total 543 homes will be connected to the system. West Whitlawburn has been named as one of the four finalists in its category, with the winner being announced at an awards ceremony at the EICC in Edinburgh on November 27th 2014. We have a lot of admiration for what the people at West Whitlawburn Housing Cooperative have achieved and we are delighted to have worked on this project with them. They have taken positive steps to reduce the level of fuel poverty in the area and we join the Department of Energy & Climate Change, local and regional government in praising this project and the hard work and determination it has taken to to make it a reality. Vital Energi have entered the project jointly with West Whitlawburn Housing Cooperative, Turner & Townsend and npower. Fingers Crossed we’ll be bringing home an award for a great project.